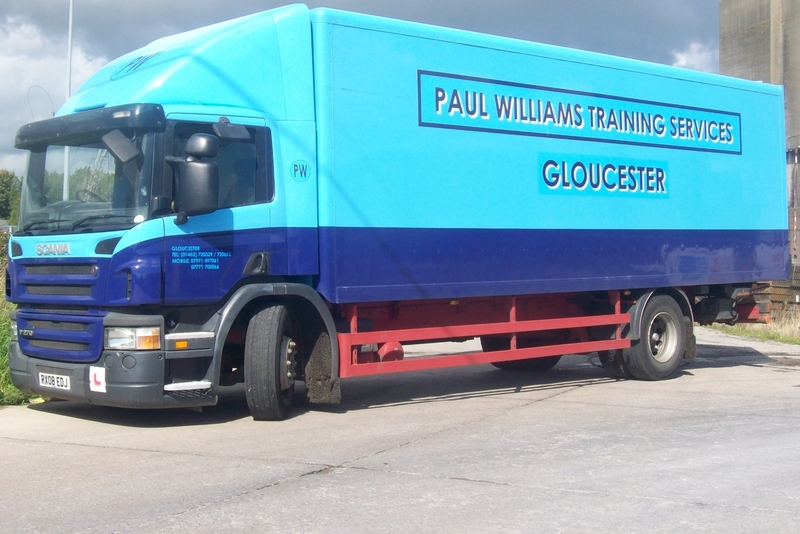 HGV Training in Gloucestershire is a good place to train in and take a TEST. This is the first under 21 year old driver of HGV under the new rule. The NEW LAW has now helped this Driver to PASS both his Theory,Driving Test and Pictured with his CPC certificate on 3/12/09 under 21. He can now Drive a Class C Rigid Vehicle. Once the Licence returns from Swansea he can then start Training on the Artic C+E. WELL DONE........from PAUL. WELL CHRIS CAME BACK AND NOW HAS HIS ARTIC C+E.....Good Job..
More boys and girls are taking their tests in the Class C Lorry. Rather than taking 2 tests they are going past the 7.5 tonne and straight to 30 tonne maximum weight. Ceri Thomas is now ready to drive her Large Horse Box Event Lorry. Well done for all your hard work Ceri. from PAUL. With the weather now getting better more people are also doing their HIAB Courses. Now that the Dark Nights are going away we are now trying to put Tests on for 7.30am and 4.30pm this will add a bit to the Test fee but with a shorter waiting period. At the moment we do CPC mod4 for NEW DRIVERS and the OLDER DRIVERS CPC these courses are 7 hours long class room based and will count towards 35 Hours over 5 years. 1 DAY A YEAR. remember guys you don't want to wait until 2014 it my be very busy then.You do not fail/or pass you LEARN on a CPC............The closer it gets to 2014 the Price will go through the roof with 15 people to a course and not many firms putting thousands of pounds into it.It may be hard to get a course when you want......thanks Paul.